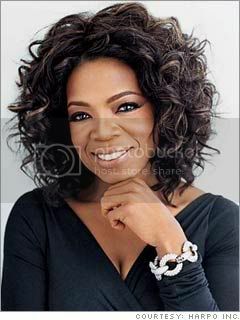 Oprah Winfrey is my idol. Yes I said it! She is a wonderful example of receiving with the right and giving with the left. She could be so selfish but instead she is so giving. I would hope that I would be blessed with 1% of her riches but above all I wish to be blessed with her spirit of giving. Her trials and tribulations as a young girl have made her an exceptional woman. She has certainly cracked the glass ceiling.